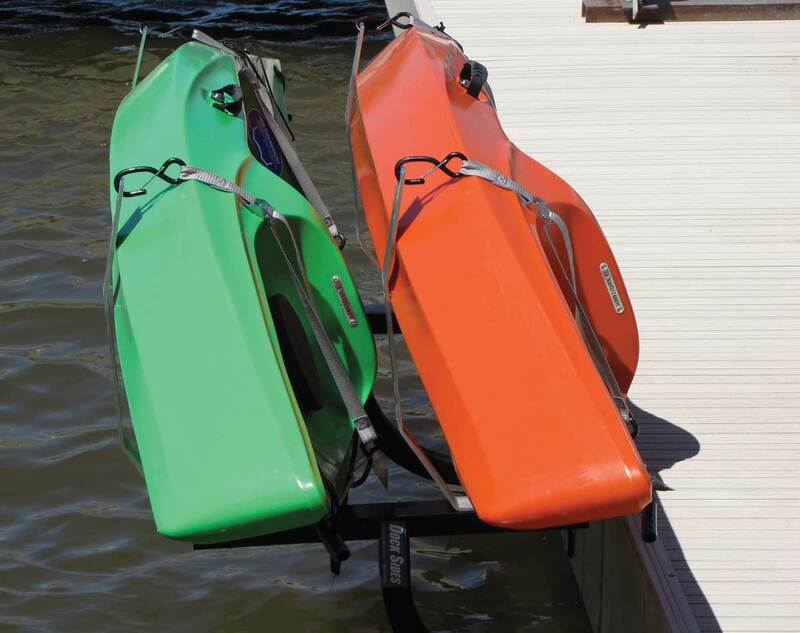 Dock Sides Horizontal Dual Kayak Rack by M.C. 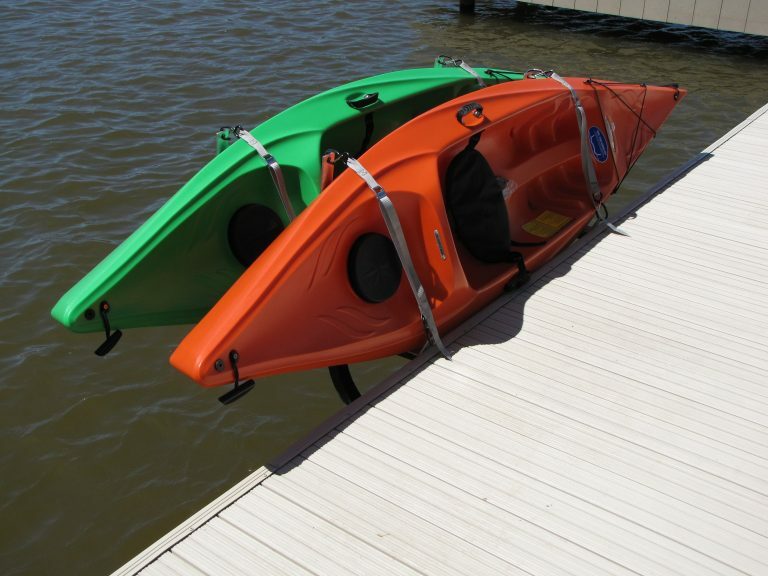 Docks is the perfect accessory for kayak adventurers. Storing kayaks on docks is challenging due to two main issues – providing adequate mounting stability and intruding on valuable surface space. 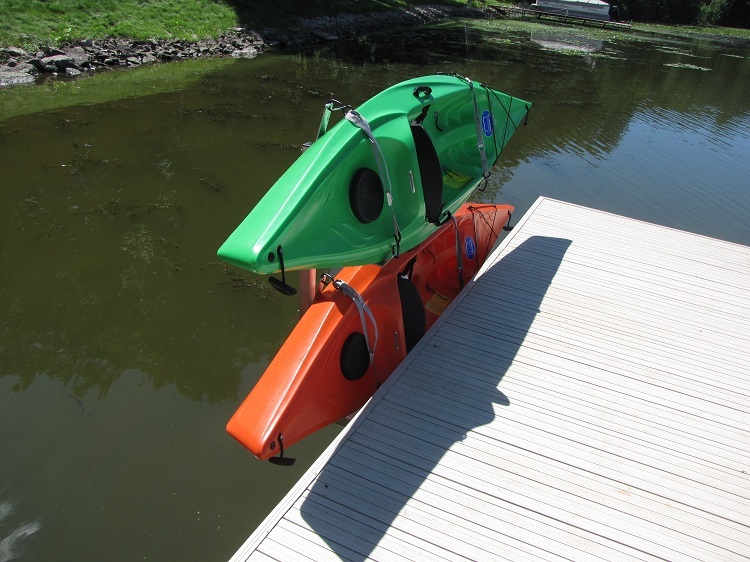 With the Dock Sides system, mounting kayaks on your dock becomes a snap! 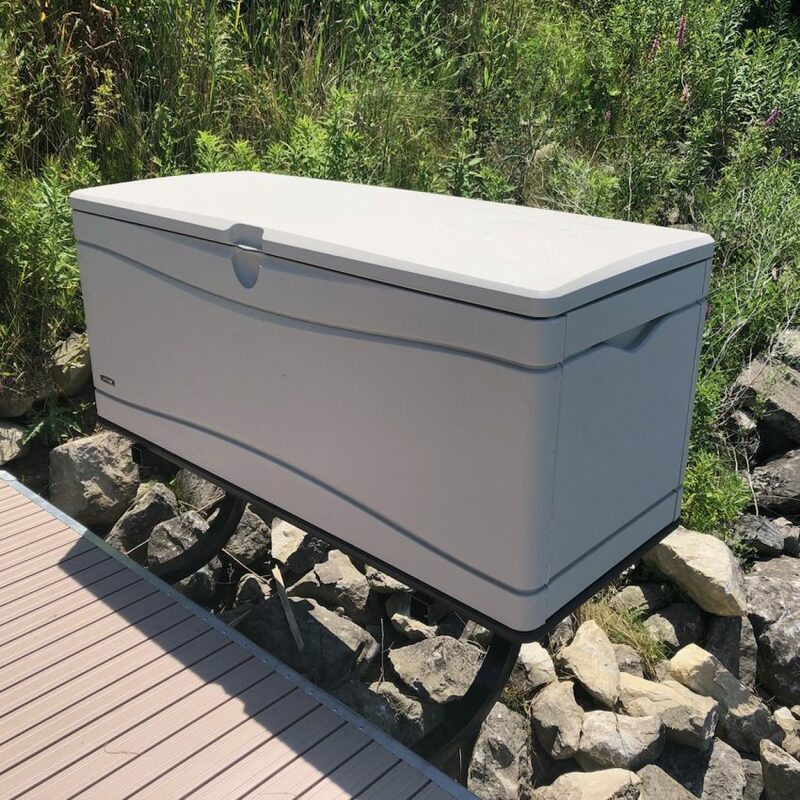 Dock Sides accessories mount to the side of your dock freeing up valuable dock surface area while preventing traffic and safety issues. 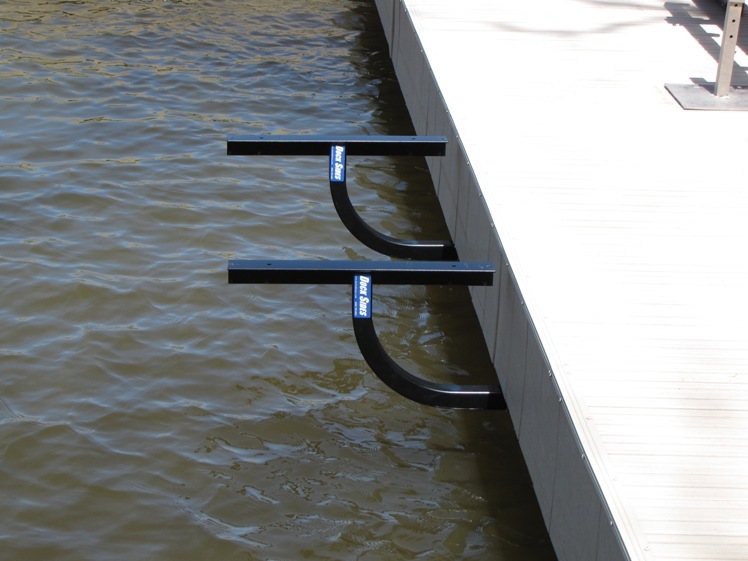 The horizontal kayak rack easily installs on the side of your dock and is even easier to use. All Dock Sides accessories require receivers. 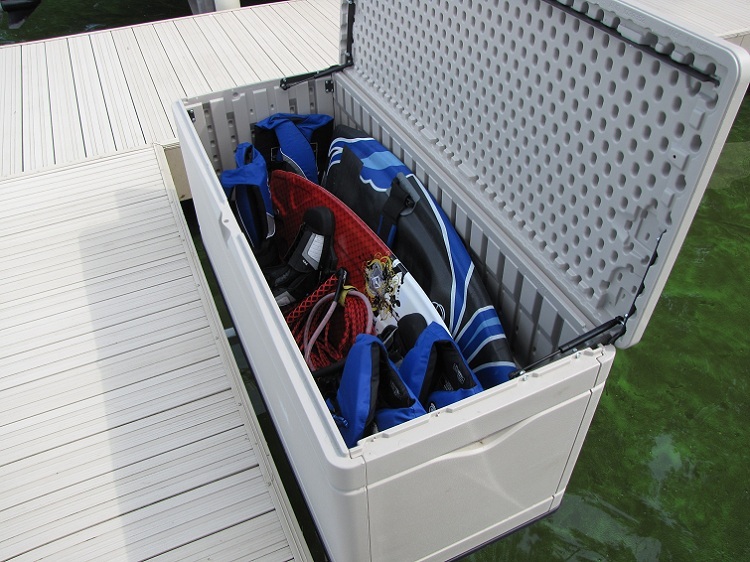 The kayak rack tubes slide into one of two receivers creating an area of storage. 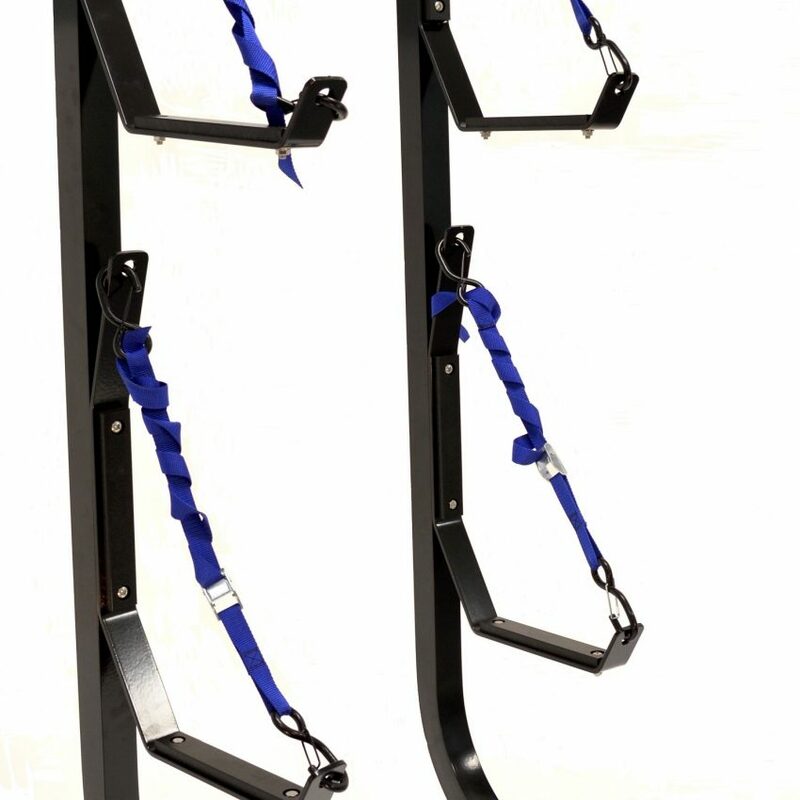 Each powder coated steel tube consists of four J-hook style brackets and non-marring seaboard plastic. First, simply rest your kayak on its side in the J-hooks. Next use one set of the poly straps and wrap around the kayak feeding one strap into the cam buckle located on the opposite poly strap. Finally, tighten the poly strap by pulling firmly securing the kayak. To retrieve your kayak, simply loosen the poly strap at the cam buckle until the kayak is free and lift it up and over the J-hook brackets – you’re ready for the water! 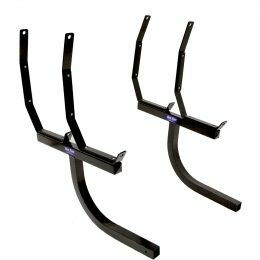 The Dock Sides Horizontal Dual Kayak Rack mounts off the side of your dock or deck and utilizes the Dock Sides Receiver for quick and easy attachment and removal. 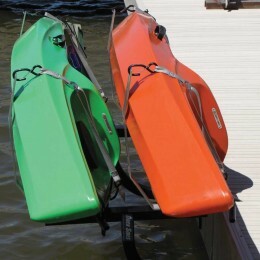 The kayak rack tubes are simply slid into the receivers and secure with a quick release pin. 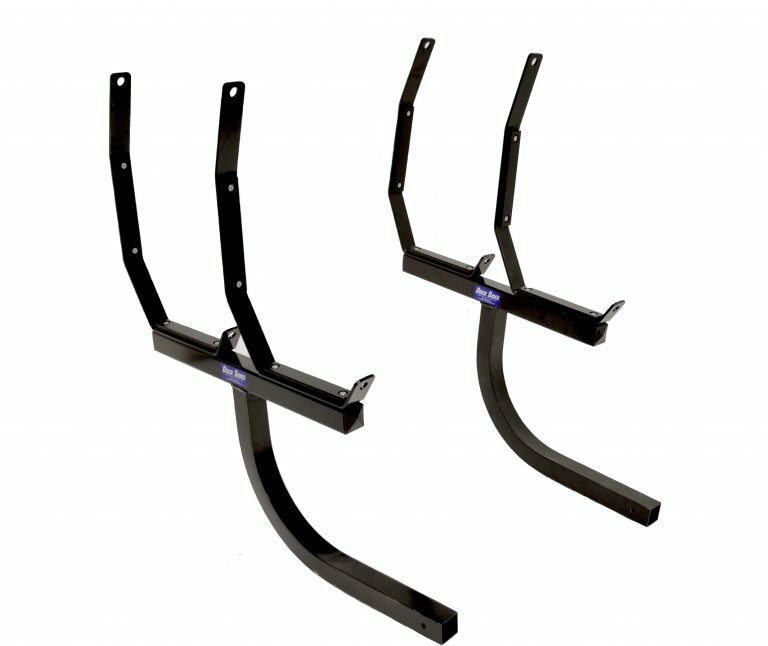 When not in use, the racks are just as quickly and easily removed to make way for another Dock Sides accessory or off-season storage. 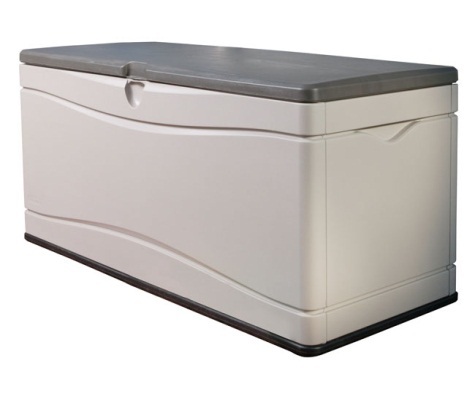 In addition, receivers are sold separately. 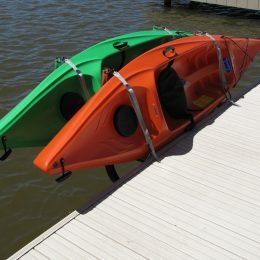 The Horizontal Dual Kayak Rack requires 2 receivers.